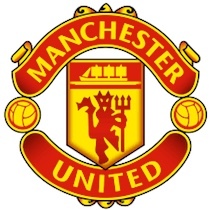 You are now viewing the Manchester United Football Accessories store here at Soccer Box. If you are after novelty, equipment or wearable merchandise adorned with the Red Devils’ crest then this is the place for you. Within this category you will find a various range of souvenirs available for all ages and budget ranges. Therefore, if you have a Man Utd mad fan in your life, then you are guaranteed to find the perfect gift for them right here. And with our vast number of shipping services globally, you are sure to receive your purchase in an instant wherever you live in the world! Browse through our outstanding collection of official Manchester United memorabilia today and grab a bargain for yourself or your loved one! Here at Soccer box we pride ourselves on our impeccable level of high quality products. And to maintain this impressive level of quality assurance, we source all of our souvenirs and sportswear directly from the respective manufacturer e.g. Adidas. Therefore, you can feel confident that you are ordering authentic Man Utd memorabilia for an amazing price when shopping with us. Every season the styles and looks of the Manchester United kit changes. However, the only thing that remains consistent is the signature colour scheme of their home apparel. Therefore, this is what most of their merchandise is modelled after. So although we have a vast range of accessories from different seasons, you are sure to coordinate with the latest clothing. Clothing wise you can suit your child out in official licensed clothing for the swimming baths and bed time as well as on and off the pitch. Stocked in a range of little boy’s sizes, you can buy a set of swimming shorts with a matching hat to make swimming even more enjoyable for your little one as they show off the Man Utd emblem. They can also be dreaming of greatness and replaying the excellent skill of their idol by wearing the MUFC pyjamas to sleep. Keep your head protected no matter what the climate is like outside by purchasing a Man Utd hat adorned with the team’s crest. Perfect for winter, the woolie hat is the ideal accessory for retaining heat and eliminating chill on the head and ears. Opposite to this, the baseball cap is suitable for summer days and shielding your face from the sun’s rays while enjoying the outdoors. Along with this we also have a number of Man Utd scarves available in different styles but all showing equally as much team pride as possible. For the budding footballer, having the right equipment is essential. So why not swap out your tired looking goalie gloves or shin guards for new ones branded with the MUFC crest? These would make an excellent gift for any supporter who wants to show off their team spirit while on the pitch training like their idols. You can even transport your training gear of school supplies in style by choosing from our excellent collection of bags. Whether you are after a smaller gym bag style or a larger Man Utd backpack, there is something for all ages and requirements. We even stock Manchester United soccer balls which feature the Red Devils’ crest that you can use to train with. Be the envy of your friends or team mates on the pitch by ordering a new football from us today. Everyone knows that staying hydrated is important whether you are carrying out day to day errands or practicing your footie skills on the field. Now you can update your standard water bottle and display your pride for your favourite team effortlessly. And for the home you can buy a Manchester United glass adorned with the team’s emblem too! We also have an egg cup designed to look like a Man Utd home shirt using the infamous red, white and black colouring, so that even your breakfast time can be oozing with pride. Creating the ultimate MUFC supporters room has never been easier. Shop through our vast range of homeware and you will come across items such as a Manchester United duvet set and flag which would make the perfect addition to any fans room. Before you complete your order, fill your basket to the brim with outstanding value clothing and merchandise by checking out the Manchester United special offers page. Also, stay vigilant and take advantage of our exclusive discount codes by signing up to our newsletter or checking the offers tab to the left of the screen. As well as this, we frequently reduce the price of previous seasons’ products, so keep your eyes peeled! Make your purchases online through our secure online shopping cart or give us a call and we will process your payment swiftly. Also, to ensure that you receive your goods in a reasonable time period depending on your requirements, we offer an extensive range of fast global delivery methods. Or if you live locally you can select the collection option and come say hello!